Kasenyi landing site (click here for info). close to Entebbe, to the Ssese islands. Please note (to avoid disappointment): Banda Island is only providing you with the latest transport information on this page. We are not a stakeholder of the public transport. If prices or departure times change or boats don’t go at all all of a sudden we are also at a loss. But we will help you to get the latest information at time of booking and find you the best boat. The boats are moored outside the landing site and you (and your stuff) have to be carried into the boat if you do not want to wade yourself through the murky waters at Kasenyi. The porter is not part of the transport and also not under the control of Banda Island. So you have to pay the boat and the porter. There will be a lot of hustle and bustle and porters offering to carry you and your luggage to the boats. We know a very nice guy in Kasenyi who is helping our guests get into the right boat. His name is John. On booking we will inform John and connect you. He will take care of you and also carry you to the (right) boat. Be aware that the risk of Schistosomiasis infection is greatest at populated places – like Kasenyi. So if you get some lake water on you while being carried to the boat wipe it off immediately once you are in the boat. Also read our page: (Bilharzia/Schistosomiasis). 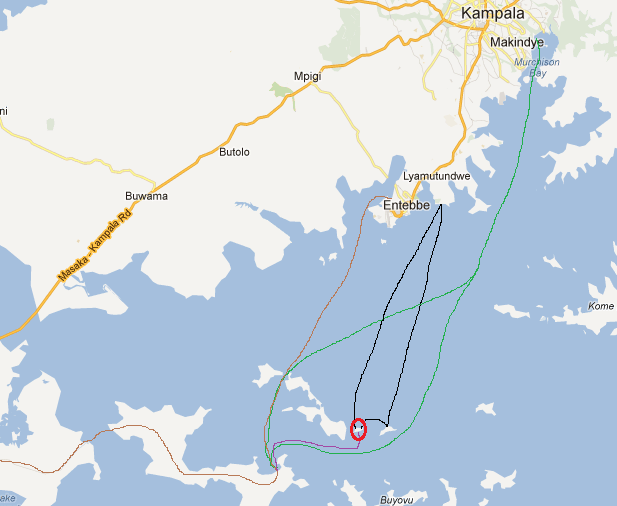 Every day boats are going from Kasenyi to the islands. Depending on the day of the week boats go at around 10:00 am and in the afternoon at around 02:00 pm. Some boats are very good but others are usually overloaded, and we would not like you to use those. So always get in touch with us and we can advise you on which boat to take on that particular day. Flat rate is 40,000 per person and for that we agreed with the boat drivers to go faster than usual. So you can make it in 2.5 or 3 hours (if the lake is reasonably calm) rather than the 4 hours they usually take. When on the island discuss with the staff on site the best option to return to the main land. 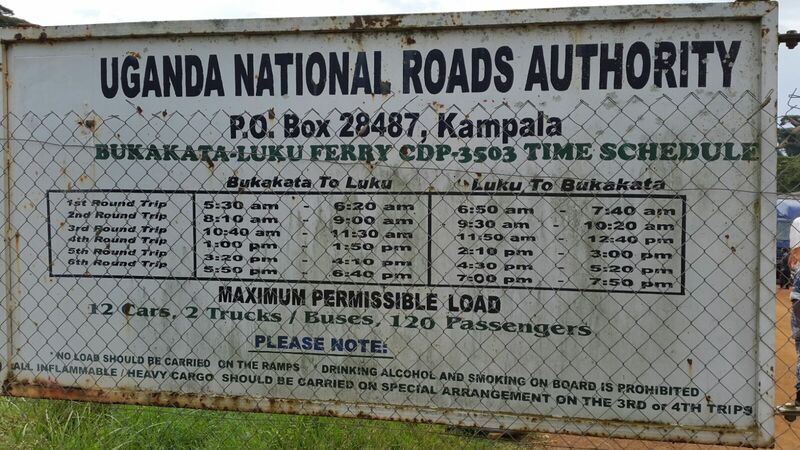 If you are coming from Mbarara/Masaka you can also take the ferry from Bukakata (Main land) to Luku (Bugala Island) and drive to Lutoboga and from there take a special hire to Banda. Oddly there is no public transport between the main island Bugala and the other Ssese islands so we will pick you with a special hire. The special boat hire is Ushs 150,000 – each way for the entire boat from Lutoboga to Banda. If you can board at Mwena (just a short Boda Boda trip across the peninsula) the charges are 130,000. The crossing from Lutoboga takes about 45 minutes to an hour depending on the wind and waves and is a beautiful boat trip, passing between the lush islands with the sun setting behind you. 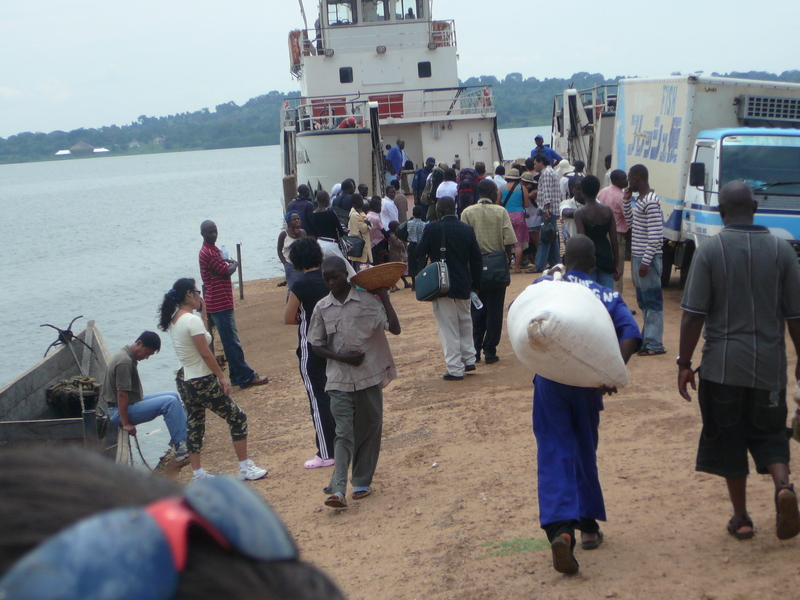 The 14:00 ferry MV Kalangala takes you from Nakiwogo, Entebbe to Lutoboga where you can be met by a Special Boat Hire. The ferry crossing costs 15,000 for first class and 10,000 for second class seating and takes about 3.5 hours. The ferry back to Entebbe leaves in the morning at 8:00 from Lutoboga so you need to be on the special hire leaving Banda preferably 2 hours before. Vincent can provide a special hire service and can pick you whenever you want from wherever you want. If you leave from Kasenyi to Banda the charges are Ushs 400,000/-, which is a very good price and worth considering, definitely if you are travelling with a group. His boat can comfortably accommodate 16 people.